Here at Annapolis Painting Services, our team of professional Baltimore painting contractors are extremely proud to be considered the local area’s premier name in high quality painting services for both residential and commercial customers. 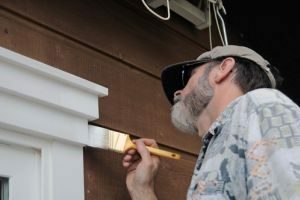 For over thirty years now, our team of experts have been providing local home and business owners with the exceptional quality painting services they need to maximize the beauty and the value of their properties. With our professional help and guidance, you can rest assured that every portion of your home or business will come out looking its absolute best, and will continue to do so for a long time to come. Here at Annapolis Painting Services, we believe that you should never have to settle for second best when it comes to your interior or exterior painting needs, and when you make the call to us, you never will. Our team of experienced Baltimore painters here at Annapolis Painting Services are completely dedicated to ensuring that every single one of our valued customers are completely satisfied with the results of their service before we ever pack up and call the job finished. By making this our goal in every service we provide, we have earned a reputation for ourselves as a local painting contractor that always goes above and beyond for our customers, and works hard to provide for all of their needs, no matter how simple or complex they might be. If you have any questions about our full line of high quality painting services, or if you would like to schedule an appointment for consultation with one of specialists, give us a call today. Our team of experts are always standing by and would be more than happy to assist you in any way we can. When you make the decision to hire our team of interior painting specialists here at Annapolis Painting Services for your next interior painting project, you can rest assured that you’ve made the best decision possible for your property. With the help of our experts, you can transform the look and feel of your entire living space, and maximize both the value and the beauty of your home. You can always count on our team of experienced professionals to deliver on-time service that works within your budget, and always leaves your home cleaner than when we first arrived. If you know that you want to change the interior of your home up, but aren’t quite sure what kind of design you are looking for, our team of experienced design consultants will work with you to help you find the perfect option that gives you exactly the look you’ve always wanted for your home. The exterior of your property plays an extremely large role in the first impressions that your neighbors, friends, and family members get when they lay eyes on your home for the first time. If you are a business owners, the exterior look of your property is even more important, as it plays a significant role in whether or not customers decide to enter your building, or if they go to one of your competitors. If the exterior of your property isn’t quite what you want it to be, don’t panic. Our team of experienced professionals can help you get exactly the kind of new look you’ve always wanted for your property, and leave you with a finished product that is guaranteed to impress. If you are looking for a professional painting contractor in Baltimore, give us a call today at 410-974-6768 or fill out our online request form.